Fantastic RV property south of Deming in Luna County. 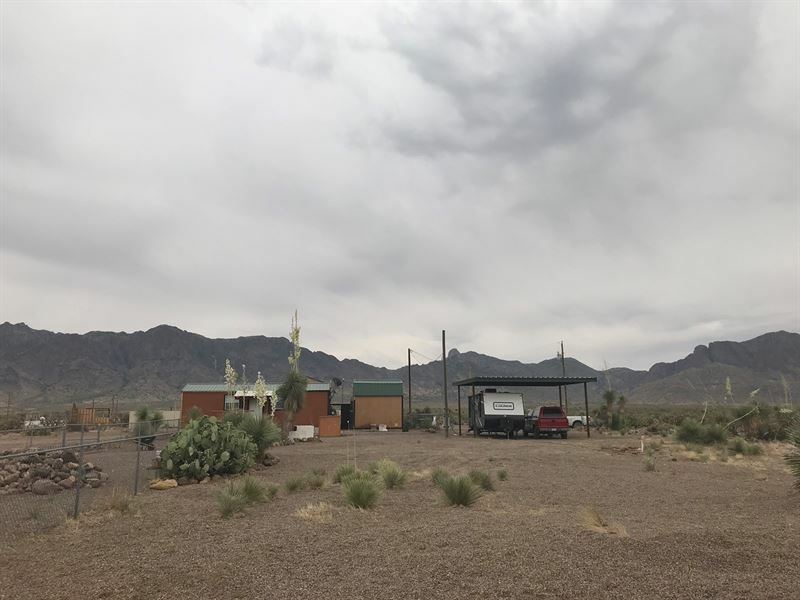 This property has everything you might need for your RVing head quarters, RV hookup, RV parking port, Shop and lounge with amenities, two storage buildings and a spectacular view. Enjoy all that SW New Mexico has to offer including great weather, fantastic sunsets, views of the Florida mtns, high desert climate and scenery, and the best night skies in the Usa. Convenient to Las Cruces, Silver city, TX, AZ and Mexico.